I always enjoy when friends post pictures (online)of large extended family gatherings. I love to see the generations of family members from the elders right down to the babies. It brings back wonderful memories. I grew up in a very large extended family. There were SO many of us on my Father’s side we could have filled an auditorium. 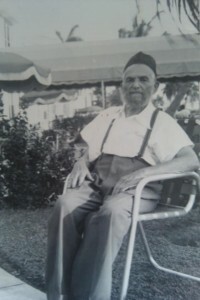 As a young child, I was blessed with a great grandfather. I called him Zaydee with the beard. He was an Orthodox Jew who wrote magnificent poetry. He lived well into his 90’s. My Bubbi (his daughter) died when she was only 70 (I was 7) but I have wonderful recollections of her. She smelled like chicken soup and was soft and cuddly. I enjoyed the time I spent with my Zaydee. He spoke mostly Yiddish and made delicious brittle candy which could crack the fillings in your teeth. My Father was one of 9 children(two died early in life) and the remaining 7 all married and had children. There were 25 grandchildren including me and my 4 siblings. There were countless 2nd and 3rd cousins. I was fascinated by how similar many of us looked. The years passed and the 25 grandchildren grew up many creating branches with their own extended families. Some of the branches broke and it was heartbreaking. My daughter said her close circle of friends has become like an extended family. She lovingly refers to them as her tribe. I think it’s sweet that she loves her friends like family. I had close relationships with all 4 of my grandparents. 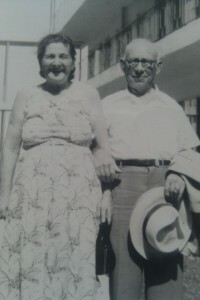 I was lucky enough to meet 2 of my great grandparents. WHAT A BLESSING! I only hope I can give to my grandkids what my grandparents gave to me!! I agree…You were very blessed! Thanks for writing! A close family is a gift. I like your daughter’s perspective. I try to live that way. My friends are like family to me. You are blessed to have such great friends! Thanks for sharing! You were blessed to grow up with most of your family so near. To this day, I still get all warm and fuzzy when I see multi-generational family gatherings. I really was blessed. I loved being part of such a big family. Thanks for writing! I did not grow up with a large extended family nearby, but I’ve learned to create a family for myself. Scientists say that longevity is related to the social connections we have in our lives. And I believe that. I agree! Thanks for sharing your thoughts! I never had any grandparents, so my best friend in public school shared her two grandmothers. I just assumed everyone shared families. Now my own children see this same best friend’s parents as their grandparents also. Plus, she as their aunt and her children their cousins. One does not have to share the same lineage to be considered a family. What a wonderful story! I have a dear friend who has 11 children. Our children all grew up like “cousins” sharing many family events together. My husband and I are honorary Bubbi and Yaydee to one of the daughter’s first born sons! Great post! I’d love if you wrote more posts like these, about our family history. Also it’s great inspiration to plan a get-together with the extended family in 2013. A reunion sounds like a wonderful idea for 2013! p.s. I plan to publish (on my site) some of your great great grandfather’s poetry that your grandfather translated from Yiddish to English. Thanks for your comments…I love you!